Growing up in Australia, a lazy Sunday brunch was an institution and a perfect excuse to catch up with the girls about the latest gossip from the week over a latte. It’s great to see that, in recent years, London has branched away from its greasy spoon fry ups to embrace the concept of brunch in full force. Whether you’re looking for a decadent outing with a cheeky prosecco or something a little more casual, there is something for everyone in London. I have too many favourite brunch spots to list here so I have picked my top five places to enjoy the most important meal of the day. If anyone was to take the crown for best brunch spot in London it would have to be Caravan. 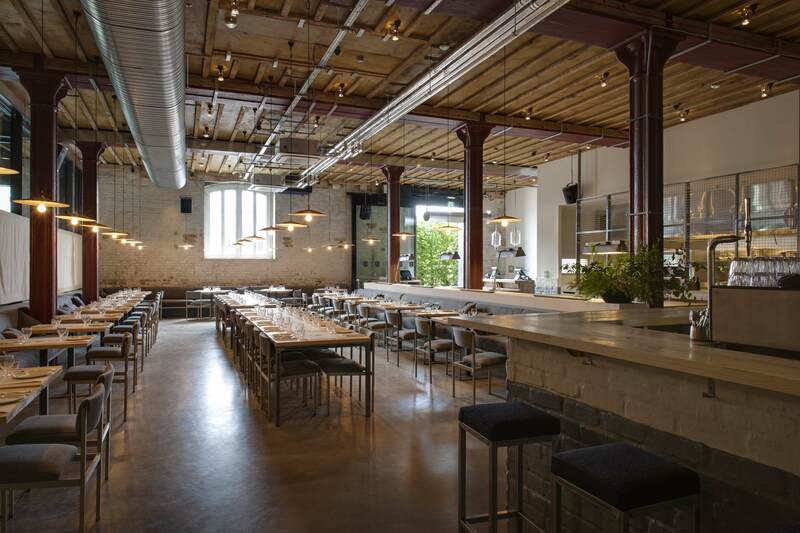 The sister venue of its original in Clerkenwell has been converted brilliantly on the ground floor of a Grade II listed granary building, a rather enchanting space nestled in the heart of Granary Square. The menu is playful and experimental – here you can order fried chicken and waffles, salt beef bubble, jalapeno corn bread…the list goes on. This is definitely a menu with a difference. There’s a coffee roastery on site so it’s no surprise these guys take their coffee seriously. Coffee connoisseurs – you won’t be disappointed. If you’re looking for something a bit different to your average London brunch, I would highly recommend Dishoom. 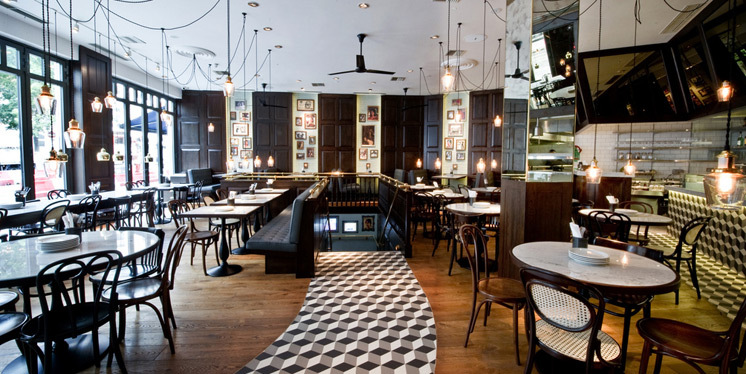 Located in Covent Garden, Dishoom is styled like an old Irani cafe in Bombay with a modern twist – think black and white tiled floors, Bentwood chairs, stained mirrors and vintage framed portraits. The menu pays homage to the food of Bombay, bringing an interesting mix of wholesome dishes including house porridge and granola to bacon and naan rolls. There’s nothing better on a cold London day than the Irani cafe classic – the Bun Maska, served with a beauitfully aromatic house chai. Often the simple things in life are the best. Lantana in Fitzrovia is the answer to my Melbourne brunch craving in London – it’s casual, buzzy and serves great food. The menu has all the usual antipodean favourites like bircher muesli, eggs and french toast and some of the more experimental items like Boston baked beans with pork belly and toasted banana bread with fresh passionfruit pulp. The Square Mile coffee is exceptional – smooth, strong and delicious. Just make sure you get here early – it gets very busy! 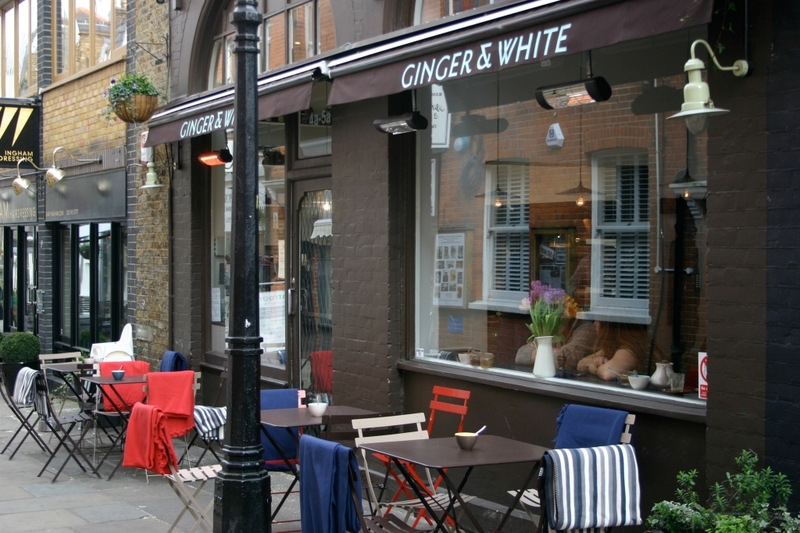 Ginger & White has two North London locations (Hampstead and Belsize Park) but my definite favourite is my local Hampstead branch in Perrins Court. Effortlessly stylish, the small space is occupied by rustic tables, crates and a touch of leather furniture. The centrepoint is a large wooden communal table which singles, couples and families huddle around as they sip their expertly prepared Square Mile Coffee. The food is sourced from the finest British produce. Even the creamy salted butter is local – from the Coombe Valley in Somerset. I love their soft boiled Treflach Farm eggs served in knitted chicken blankets and buttered soldiers. Fellow sweet tooths beware -,you will have a tough choice choosing between their heavenly cakes and pastries. Nopi, the brainchild of Yotam Ottolenghi is definitely the more formal of the Ottolenghi branches around London. A native of Israel, Ottolenghi harmoniously blends the bold flavours of the Mediterranean, Asia and Middle East together as one happy family. 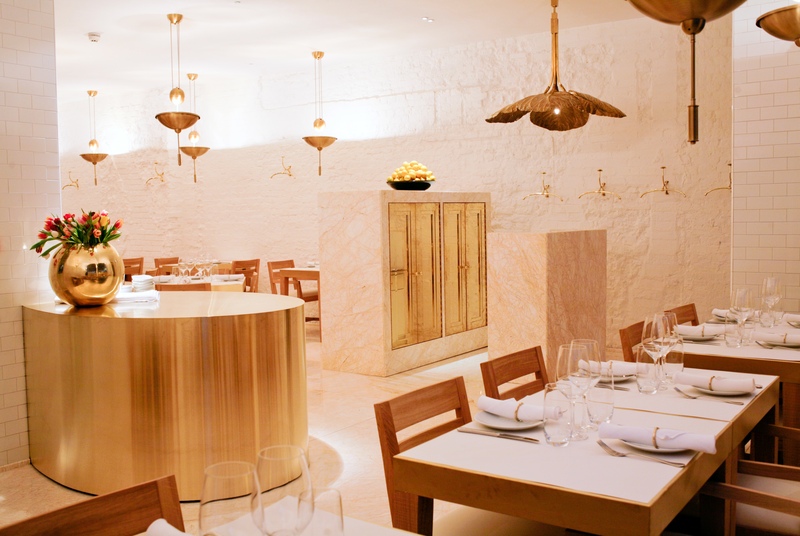 Effortlessly chic with its marbled tiles, golden brass fittings and white ceramic walls, it’s a great spot to enjoy great food and excellent service. 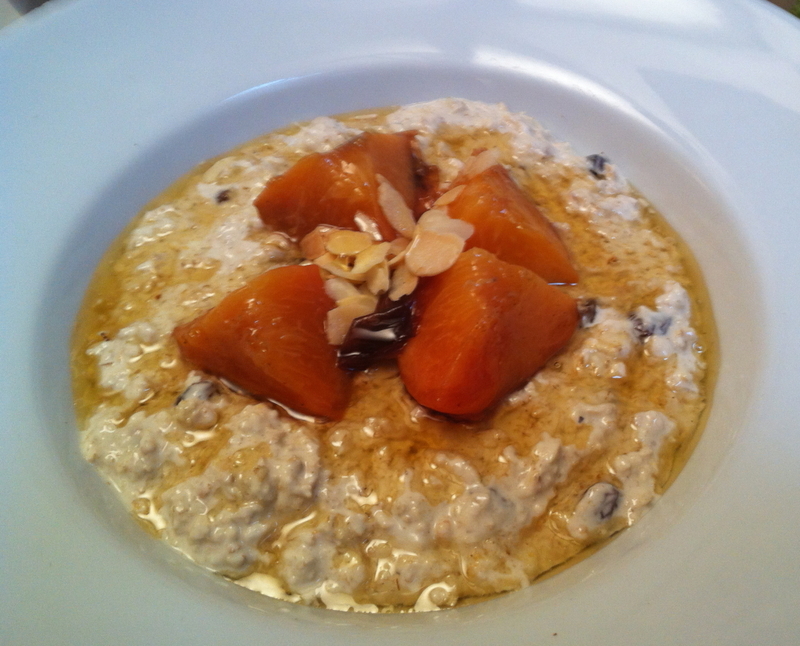 Here you can enjoy somewhat non traditional brunch goodies like black rice with coconut milk and french toast with anise sugar. Make sure you don’t leave without a visit to the bathrooms! What are your favourite brunch spots in London? Would love to hear your comments below. You should come to Frankfurt for a visit – brunch is a very important aspect of life here and the Germans sit and eat for hours and hours on a Sunday. I’m moving back to the UK next year and am excited to read your posts about food – I feel I’ll know all the best places to eat (and brunch!) at. Love the sound of that! I’d really like to return to Germany – I have been to Berlin and Munich but never Frankfurt. Lisa, I just ADORE your blog! Scrumptious food and high adventure… all the things I adore! I’m going to have to try out some of these come Saturday, me thinks…!